Enjoy 60 levels of retromodern mini golf, hosted by a mysterious AI bot named SUSAN. Drag to aim and fling the little white boop into the goal. Sounds easy? Various obstacles will make your life very hard: wait for the perfect moment to overcome moving walls, chomping deathtraps, bouncy bumpers and teleporters. Wait for the perfect moment to shoot, avoid hitting everything red at all cost and don't go over par to progress. Are you up for the challenge? Welcome to our famobilicious HTML 5 cross-device game catalog. Here you can find more than 300 non-exclusive and exclusive licensed HTML5 games, reviewed, categorized and hand-picked for every taste. Feel free to browse through our games created by developers from all around the world. 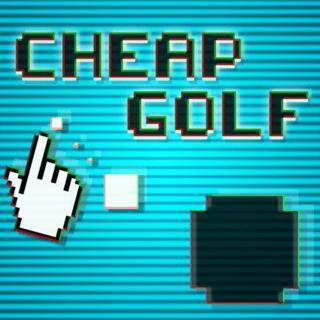 If you like Cheap Golf games, you should check out the other games from our famobilicious game catalog. Do you need help? Why don't you check out our Help & Support category and see if your questions and problems can be solved.